Tiffany has been in the industry for more than a decade and with Hair-do from the moment they opened in 2008. Through years of experience comes knowledge with a wide variety of hair types, textures, and styles. Not only has she specialized in a multitude of those types, she has also worked in a variety of salons all over the U.S., many of those years as a barber on a military base. 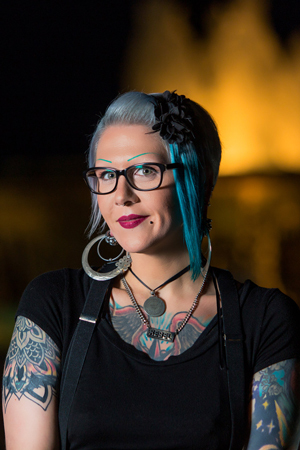 She uses her passion and knowledge for her craft to mentor and coach many of Hair-do's stylists in cutting, coloring, styling, and customer service. Having your hair customized to your specific needs makes a difference both mentally and physically. Everyone deserves to love their hair. Let her let you love your hair like you never have before. Your hair is the only accessory that you wear everyday and the only one you can not take off.